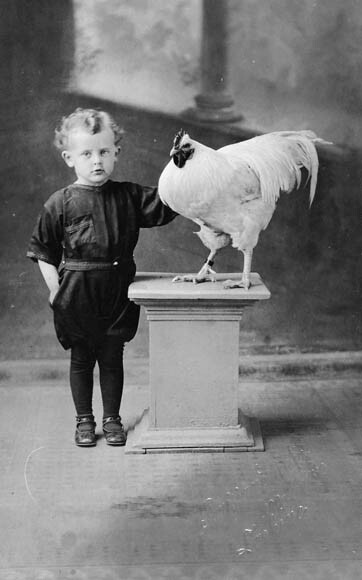 Chickens are domesticated birds that we use for eggs and meat. 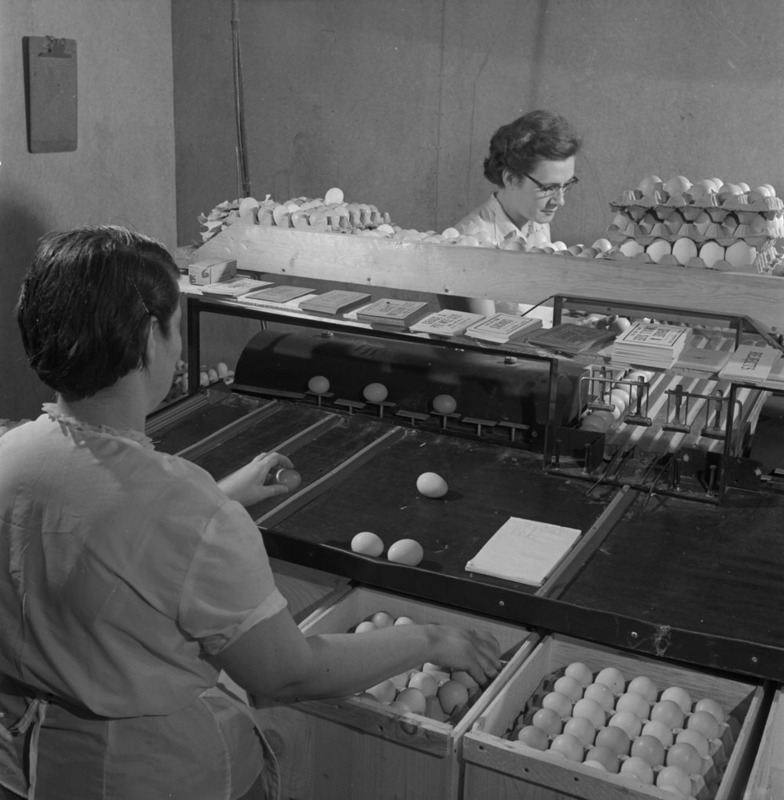 There are a number of chicken producers and egg-laying hatcheries in each province. According to Agriculture and Agri-Food Canada, Ontario and Quebec have the highest concentration of producers followed by British Columbia and Alberta respectively. Chickens are not migratory, have a small territorial range, and cannot swim or fly well. People easily captured the birds and brought them along when moving to new locations. Domestication happened quickly. 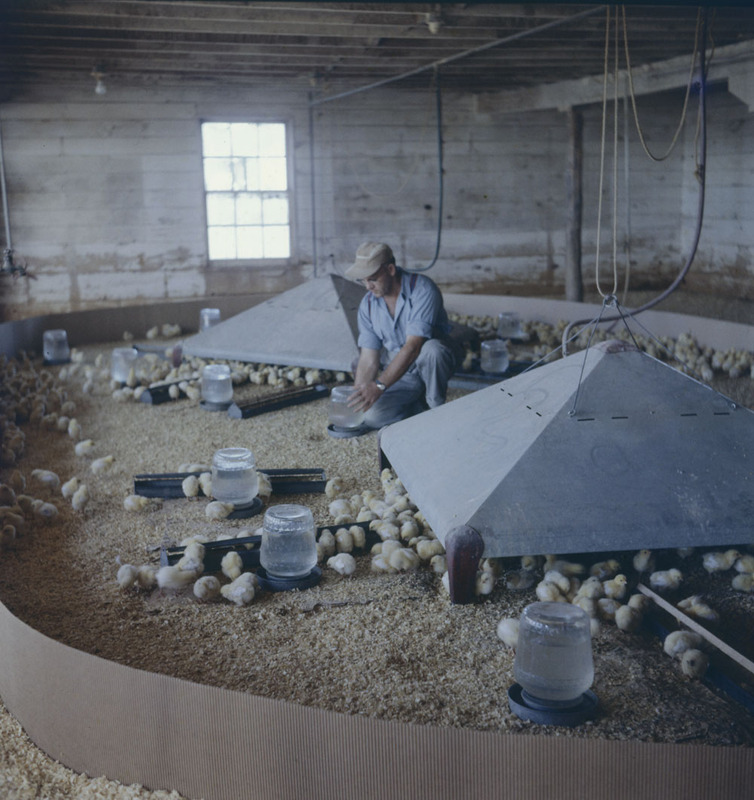 From family use to businesses servicing large urban populations, chickens have proven to be extremely versatile in terms of care and breeding. 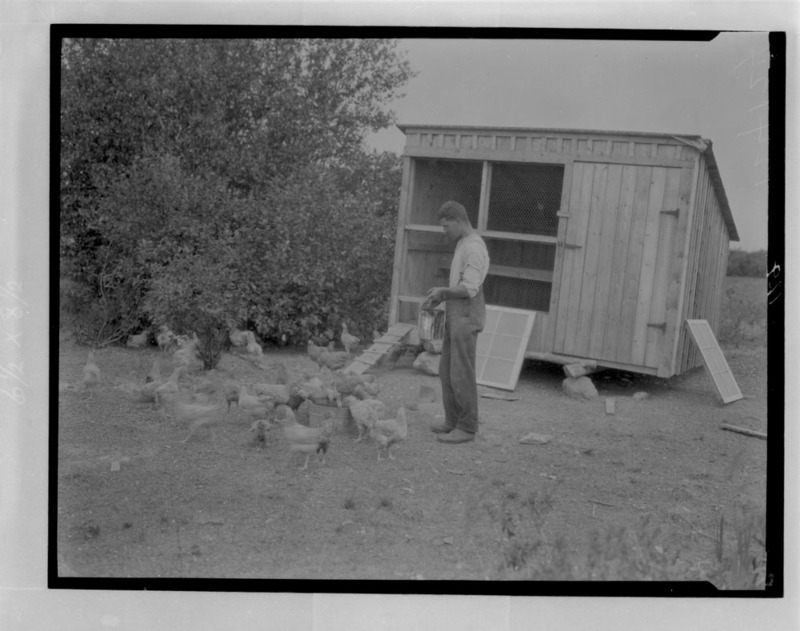 This entry was posted in Art, Exploration and settlement, Flickr, Photography and tagged chickens, eggs, hens, poultry by Library and Archives Canada Blog. Bookmark the permalink.